This week on How on Earth, Beth finishes up her interview with Professor Doug Seals, aging researcher. 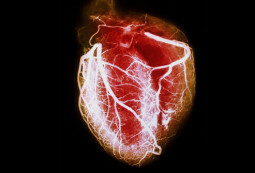 He explains the role of vascular damage in heart disease and how lifestyle choices such as exercise and diet can maintain healthy vasculature. In addition, he discusses some of his experiments in older humans with supplements and pharmacologic agents such as mito-Q, NAD+ supplementation and cur cumin. For more detail, visit his lab website (https://www.colorado.edu/intphys/research/cardiovascular.html) or the Healthy Aging site (https://healthyagingproject.org/). 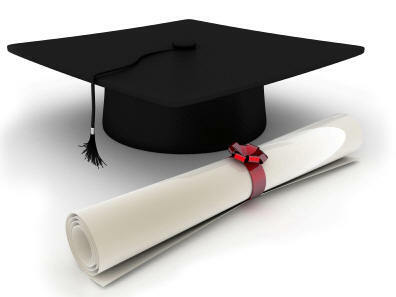 With graduation season is upon us, or in many cases in the rearview mirror, today’s edition of How on Earth is the first of a two-part “Graduation Special”. Our guests in the studio today are scientists who recently graduated with – or soon will receive – their Ph.D. They talk about their thesis research, their grad school experiences, and what they have planned next. Global Biodiversity (start time: 1:22): Scientists, NGOs and government representatives from nearly 200 countries have been gathering in Cancun, Mexico, for the UN Biodiversity Conference, known as COP13. They’re meeting to promote protocols and strategic actions related to biological diversity, climate change, food security, and even citizen science. 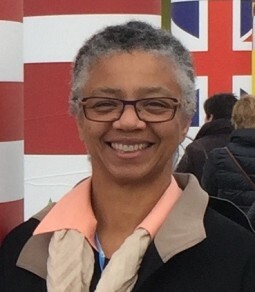 Gillian Bowser, a research scientist at Colorado State University, has studied international climate and biodiversity conventions, while working on issues such as women in sustainability, as well as citizen science. She discusses with host Susan Moran the importance of COP13, and the impact of citizens in scientific studies, such as identifying and tracking butterflies, birds and other species. Scientists’ Letter to Trump (start time: 12:09) Last week roughly 800 earth and planetary scientists, as well as energy experts, sent an open letter to president-elect Donald Trump, urging him to take six concrete steps to address climate change and to help protect “America’s economy, national security, and public health and safety.” Trump has called global warming a concept created by China to make U.S. manufacturing non-competitive, and he has picked a climate change denialist to lead the Environmental Protection Agency. Many scientists fear that a Trump administration will drastically decrease federal funding for climate research. Indeed, the Trump transition team has already issued a questionnaire to the Department of Energy to identify employees and contractors who have worked on climate change research. Alan Townsend, an ecologist at the University of Colorado Boulder and one of many Colorado scientists who signed the letter, discusses these issues with hosts Maeve Conran and Susan Moran. Microbes and Stress Resilience (starts 5:13) If you’re worried that some dirt still clings to your skin under your fingernails after planting or weeding in the garden, fear not. In fact, the more you feel and even breathe its fumes, the better, research suggests. As part of our series called “Our Microbes, Ourselves,” we explore today a newly published study that adds to a growing body of research into the benefits of certain soil and gut microbes on our mental and physical health. Dr. Christopher Lowry, an associate professor of integrative physiology at the University of Colorado-Boulder, discusses with host Susan Moran the study, which he led. It shows that a common soil bacterium called M. vaccae can boost the immune system to help fight stress and inflammation. The research, published last week in the journal Proceedings of the National Academy of Sciences, was conducted on mice, but the health implications for humans are far-reaching. 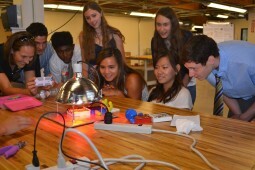 High School STEM Stars (start time: 5:00): Developing polymers to reduce waste from biodiesel production. Using 3D printing to design ocean textures, such as fish gills and waves, that blind students can use in textbooks to better understand nature. 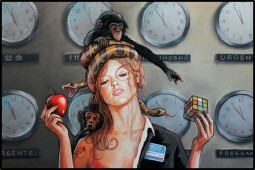 These are the kind of vexing challenges of seasoned scientists. Well, a select group of high school students here on the Front Range are also diving into this research, through the University of Colorado’s Photo-Origami Research Project. It’s part of the Research Experience and Mentoring (REM) program. Our guests–Lindsey Welch, a sophomore at Centaurus High; and Tyco Mera Evans, a senior at Northglenn High– will give poster presentations at the Emerging Researchers National Conference in STEM, in Washington, D.C. this week. 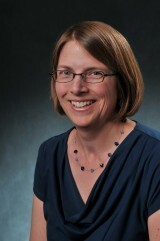 Joining them in the studio is Kathryn Penzkover, who directs high school programs through CU Science Discovery. Changing Climate, Changing Policy (start time: 7:06): As political leaders are still hammering out an accord at the UN Climate Summit, or COP21, in Paris, to rein in global warming, today we discuss the underlying scientific facts about climate change, and the policy promises and challenges for our future. Hosts Susan Moran and Daniel Glick interview two Colorado scientists at the intersection of science and policy. Dr. Waleed Abdalati is a geoscientist and director of the Cooperative Institute for Research in Environmental Sciences (CIRES), a partnership between the University of Colorado-Boulder and the National Oceanic and Atmospheric Administration. Dr. Lisa Dilling is an associate professor of environmental studies, also at CIRES, who brings expertise in science policy related to climate issues. She directs The Western Water Assessment, a NOAA program that provides information for policy makers throughout the Intermountain West about the region’s vulnerabilities to climate change impacts. 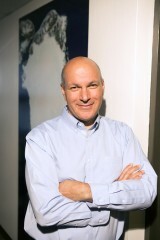 Contributing host Daniel Glick was an editor of the 2014 National Climate Assessment, and his team has produced videos on the immediate and human impacts of climate change. 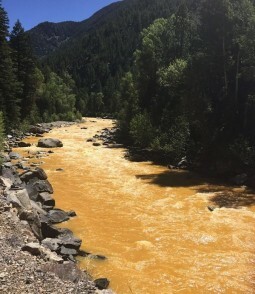 Contaminated Animus River following Gold King Mine spill. Science and Politics of Mining (start time: 6:49) On August 5 an inactive mine named Gold King, which had been leaking toxins for years, spewed more than 3 million gallons of toxic sludge into a creek that feeds into the Animus River in southwest Colorado. Its neon orange path of wastewater was shocking. But also shocking is the long history of acid mine drainage pollution and the lax regulations that allow mining companies to basically walk away from their disasters. 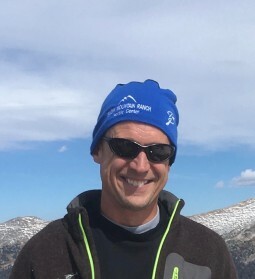 Dr. Mark Williams, a professor of geography at CU Boulder, and an expert in mountain hydrology and hydrochemistry., has worked on remediation of several mines in the state. 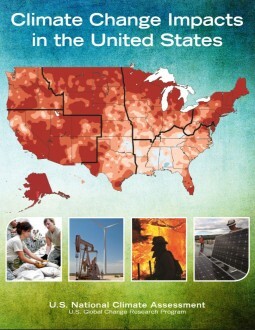 He speaks with How On Earth host Susan Moran about the anatomy of mines, how this disaster happened, what it suggests about the many other precarious mines in the state, and what should be done to prevent such disasters from happening. Birds v. Cats (start time 4:35): Spring is in full bloom on Colorado’s Front Range. Robins and other birds wake us up before the crack of dawn with their choruses. 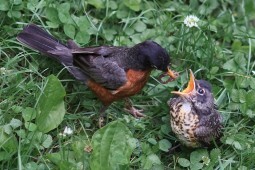 This is also a time when many chicks will hatch and then fledge — a time when they are most vulnerable to predators. The biggest single threat to birds is a favorite household pet – yes, cats. Actually, feral and pet cats alike. Dr. Amanda Rodewald, an ecologist and director of conservation science at the Cornell Lab of Ornithology at Cornell University, discusses with host Susan Moran the various threats to birds and their habitat, and how humans can be part of the solution. 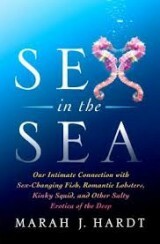 Spoiler alert: Keep Felix inside, at least during nesting season. For more info on how you can get involved, go to the American Bird Conservancy‘s Cats Indoors program. The Science of Humor (start time: 14:32): Have you ever laughed at something you know you shouldn’t have? Like when someone you know falls down the stairs? Dr. Peter McGraw discusses with How On Earth contributor Daniel Strain the roots of humor — why we find some things funny, and other things not. He’s a quantitative psychologist at the University of Colorado, Boulder where he heads up the Humor Research Laboratory, or HuRL. Yup, HuRL. 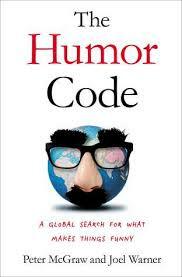 He’s also coauthor of the book The Humor Code: A Global Search for What Makes Things Funny. And he will be speaking this Thursday, May 21, at The Science Lounge, a monthly event at the Denver Museum of Nature and Science. Proof: The Science of Booze (starts at 8:09): Science journalist Adam Rogers, who claims to have taken a liking to single-malt whiskey when he reached drinking age, has immersed himself further into alcohol–particularly, the history and science of making booze, tasting it, and enjoying–or suffering—the effects of it. 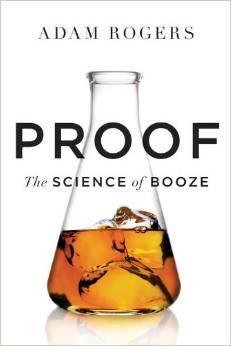 Booze is a big story: Indeed, making it was a key piece of the dawn of human civilization, as Rogers, who is articles editor at Wired magazine, shows in his inaugural book, called Proof: The Science of Booze. Rogers talks with How On Earth host Susan Moran about fascinating fungi, sugar molecules and other key ingredients, as well as our human taste buds for alcohol. We have a couple of copies of Proof from our recent pledge drive, so call KGNU (303-449-4885) this week and pledge at least $60 to get your own copy. Joel Parker (SwRI) is the Deputy Principal Investigator of the “Alice” ultraviolet spectrograph instrument on the Rosetta spacecraft. 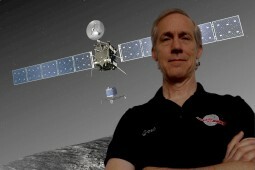 Rosetta’s Rendezvous (start time: 17:40): How On Earth’s own Joel Parker, whose “real” job as a planetary scientist is a director at the Southwest Research Institute, a collaborating partner on the Rosetta Mission. The mission last week successfully became the first to land a craft on a comet flying through our solar system. It was a well earned landing: Rosetta left earth in March of 2004 and has traveled about 3 billion miles to rendezvous with this moving target. To learn more, read this recent Q&A with Joel in the New York Times. Also, Shelley Schlender offers a special headline (starts at 3:39), an interview with CU-Boulder’s Dr. Kenneth Wright, an integrative physiologist, about his new study offering new clues about why shift work can lead to extra weight.